Ok, Mom & Dad...I think you all need a little talking to. You work so hard for very limited vacation dollars. You work. You save. You are going to take your kids to Disney. You want this vacation to be absolutely magical. I get it - and I am on board! But guess what? This is your vacation, too! So start acting like it! I cannot tell you how many families that I have talked to when the adult coordinator (usually Mom) tells me. "Oh, that sounds like fun! *sigh* But little Johnny would probably not enjoy that." That is when I step and and firmly but kindly remind mom that little Johnny is not paying for this trip! Yes, Disney is a great place for kids and families. Yes, most of us parents plan a trip specifically for the kids or grandkids. We are willing to cough up a lot of money to make sure they have a great time and and experience that they will remember forever. But this is a family vacation, and everyone should get to do something that they want to do! I unapologetically tell my kids, that since we have done everything that you wanted to do all day long, it is my turn to pick. End of story. And you know what? It works! In fact, I think they like the idea of letting Mom or Dad be the kid and have some fun our way. 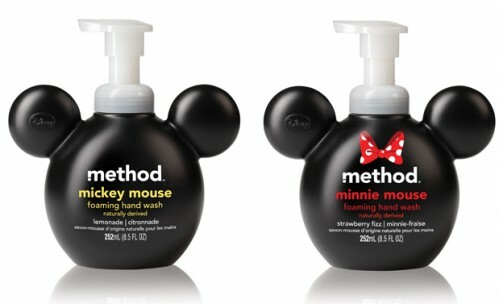 Disney actually is on board with this idea, and makes it easy for parents to have fun, too! Rider Swap - If you have a kiddo that is to small to ride, or too scared to enjoy, it does not mean that you can't! Take advantage of the Rider Swap option. Essentially, the Rider Swap allows your family to stand in line once, but to allow each parent to ride separately. Think of it as a fastpass for the second adult. Date Night - Disney has some great kids club options. Several of the Deluxe hotels have clubs that will allow you to drop off your kids in a safe and fun spot for the evening. Not only will you enjoy some grown up time, but your kids will have a ball! Spa Day - Let your spouse enjoy the pool with the kids for the afternoon and you enjoy the spa. A pedi for those tired feet is a great treat! Head out Solo - This is a frequently overlooked option! I regularly put the children and husband to bed and then take off on my own. I enjoy a late night shopping adventure at Downtown Disney without my kids in tow. I can do twice the shopping in half the time, and save money! I will also often head out to a park that is open late. It is a great time to take some pictures, scope out / preview attractions you are not sure your kids will enjoy, eat a great snack, or just wander around on your own. Fair is fair, though...the next night you have to stay in with the sleeping kids and let your spouse go explore. So, on your next Disney vacation, I strongly urge you to take a little time - even if it is only a few minutes and do something just for you. You work hard - you have earned it! I promise that your kids will forgive you if you have some fun yourself. A happy mom is a good mom! You can always remind your kids that the more fun YOU have, the more likely you are to return! 'nuff said! My husband and I have made a pact to start exercising. Well, it’s more of a challenge really. I tend to do a little better when there’s some friendly competition involved. I thought I might start running again and when I thought about finding a race to train for, I thought about Disney’s big Marathon in January. When I started researching this topic, I was surprised (and excited) that Disney offered so many races to all types of runners during this weekend, not to mention all of the other races offered throughout the year they host. Although I currently can’t run from here to my mailbox without feeling out of breath, one of the races during the Disney World Marathon Weekend might just be what I need to get me motivated. What better way to reward myself for training for a race than a trip to Disney? Complete my race, then enjoy a week in the parks with my family? It might just work. 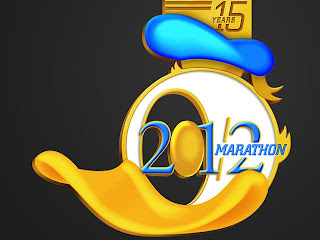 In 2012, the Walt Disney World Marathon Weekend runs from Thursday, January 5th-Sunday, January 8th. The festivities begin Thursday with Disney’s Health and Wellness Expo running from 10:00 am-7:00 pm at ESPN’s Wide World of Sports. Runners begin their marathon weekend here to check in and receive their packets. The Expo offers seminars on training, racing and nutrition. Runners can also pick up their marathon gear, and get information on the latest and greatest training apparel and equipment. The Expo remains open at scheduled times throughout the weekend. 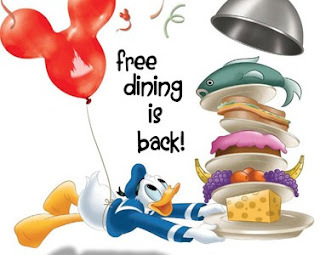 After participants check in on Thursday, they can head over to Epcot for the Pasta in the Park party from 6:30-8:30 pm. This includes a buffet dinner (pack those carbs on for a lot of extra energy! ), a live DJ, character visits, and great reserved seating for Illuminations; Epcot’s nighttime spectacular! This marathon kick-off party requires a separate ticket and reservations. Disney hosts the Family Fun Run 5K in Epcot on Friday, January 6th at 6:30 am (c’mon moms…you know your kids are up anyway…). This family event does include a stroller division, so if even the kiddos aren’t quite old enough to keep up the pace on their own two feet, families can still participate together. Participants receive a t-shirt, a medallion (or two if you’re pushing your little future marathoner in the stroller), a program guide, a goody bag, and refreshments throughout and after the race. Then, on Friday and Saturday at 11:00 am, at the ESPN’s Wide World of Sports Track & Field Complex, Disney hosts the Kids’ Races. Disney has a variety of events for kids all ages. There’s even a Diaper Dash for crawlers under 12 months old. All children under the age of 13 can participate in the Mickey Mile held on Friday. Children that participate in these events will receive a t-shirt, a goody bag, a medallion, and refreshments. Early Saturday morning (5:30 am…moms, I hope you’re not up this early everyday…) the serious runners get going in the Walt Disney World Half Marathon event. Participants in the Half Marathon will enjoy plenty of goodies such a long sleeved half marathon shirt, a Donald Duck finisher medal, refreshments, and much more including a Family Reunion Area with live entertainment and character appearances. Just as bright and early on Sunday morning, Disney presents two opportunities to participate in the Walt Disney World Marathon. Runners can either run the magical 26.2 miles individually or they can sign up as a relay team of two people. Both races begin simultaneously in Epcot, wind through the Magic Kingdom (where the relay teams switch runners in the parking lot), continue through Animal Kingdom, Hollywood Studios, and back to Epcot for a big celebratory finish with Mickey and friends. Participants of the Marathon receive many of the same goodies as the Half Marathoners, with the exception of the Marathon finisher medals which have Mickey on them. Now, I am fully impressed by anyone who can finish any of these events. 5K, Half Marathon, Full Marathon…they’re all amazing accomplishments in my book. However, there is one final event that can only be described as downright astonishing. It’s called Goofy’s Race and a Half Challenge. It’s for those runners who are, well, goofy. Runners participate in the Half Marathon on Saturday and the Marathon on Sunday to complete 39.3 miles of running in two days. Not only will finishers receive the Donald Duck medal and the Mickey Mouse medal, but the Goofy finisher medal, signifying that they completed both events. Make sure to go ahead and book yourself into a spa day at the Grand Floridian Resort on Monday. You’re going to need it. Make sure to tack on a few extra days in Disney World after your event(s). With the wide variety of resorts and the awesome Free Dining deal going on right now for resort guests, why wouldn’t you stay to relax, celebrate, and show off those medals? So, if the wide variety of family and individual events, the free dining, and the general perks of running in one of the events on Disney Marathon Weekend hasn’t convinced you to try it out, consider the following: Where else can you run a race through multiple countries in one day, take pictures with characters at music-filled and themed water stops, watch the sun rise over Spaceship Earth, wave to crowds on the Monorail overhead as you run by, run through Cinderella’s Castle while taking in the view of crowds spilling into Main Street USA, pass the breathtaking scenery around many of Disney’s beautiful resorts, experience the views of early morning Animal Kingdom, run down Hollywood Boulevard, and finally, cross over a finish line to celebrate with a dancing Mickey and Minnie Mouse? Nowhere but Disney World. And those may be all the reasons I need to motivate myself to start training.